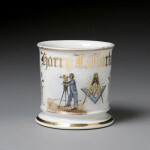 Fraternal Shaving mug for the B.P.O.E. 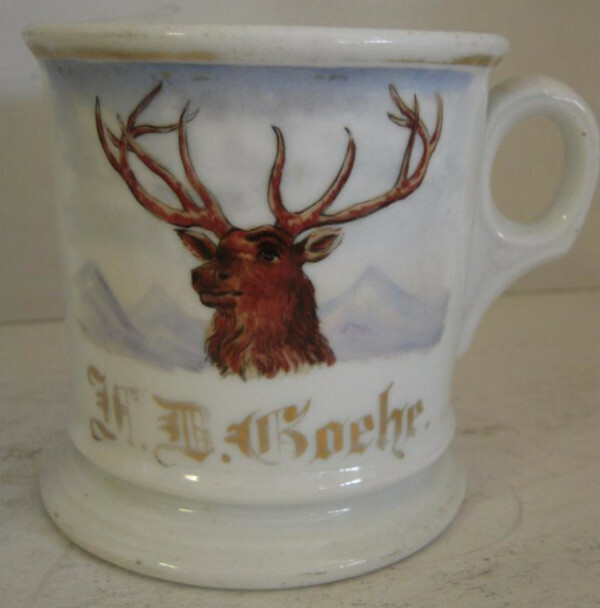 also known as the elks. This is a pretty standard design although it usually includes the letters B.P.O.E. above the elk’s head.